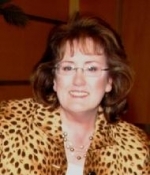 Susan Deren has over 25 years experience as an Animal Communicator, Animal Medium, and Psychic Medium. Her abilities have been featured on ABC-TV's Boston affiliate station WCVB-TV's "CHRONICLE" a nightly newsmagazine aired throughout New England. Readings are available via Phone, FaceTime, Skype or In Person. I just talked with Susan about my 4 month old puppy that had just passed. She was very spot on and very caring. She made me feel at peace and I didn’t think anyone else would come to her during my reading but my grandmother showed up and that made my heart very happy. You could tell she cares about animals and her clients. Will be visiting with her again later on in life. We had just lost oir beloved dog and needed to find someone to contact her to make sure she was ok. I found Susan searching the web for someone close by. I saw that she was verified by your website. We met with Susan. She is warm, caring and down to earth. She spoke to our dog that just passed and her brother that passed 3 years before. She also spoke to our parents and my favorite Aunt. She told us things about all that only we would know. She is the real deal and will visit again.